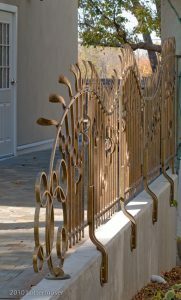 As promised, here are new images of the bronze railing I forged for “Lynden Sculpture Garden” in Milwaukee. I am adding these images, as the images published earlier in this blog were taken by me shortly after installing various sections. 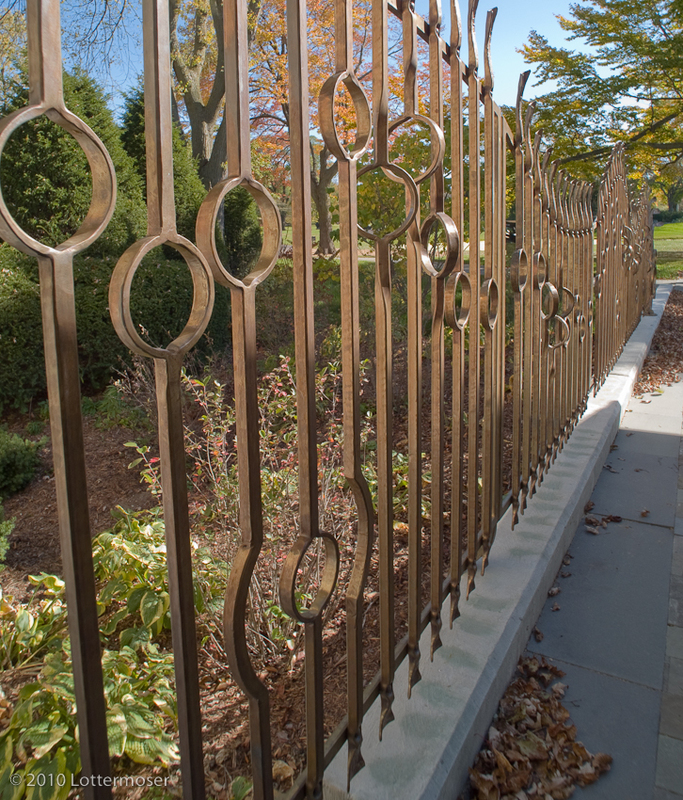 Since the railing was installed one piece at a time at different intervals, the overall patina was not uniform. 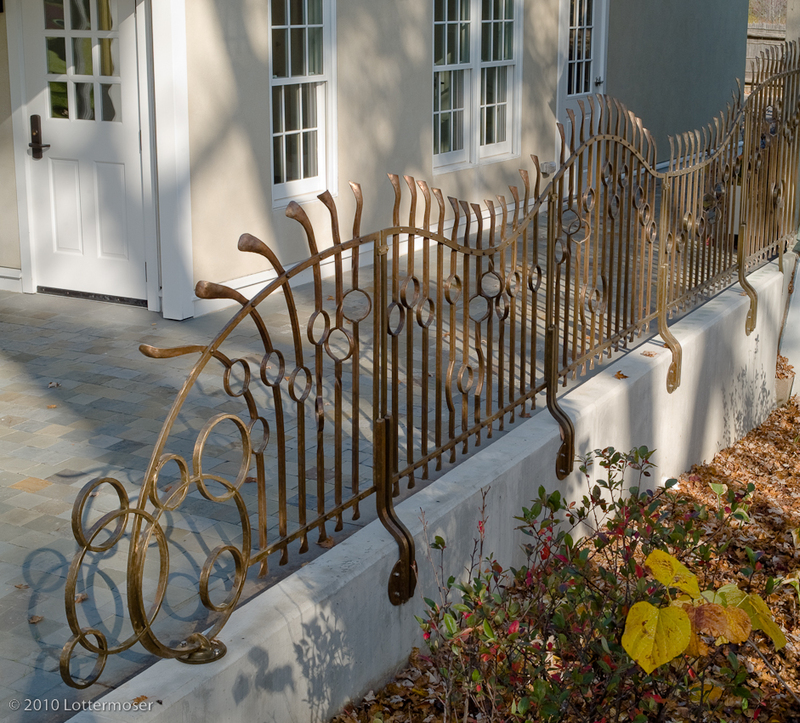 These images were professionally taken after the railing’s patina had evened out. Note: If you wish to see a larger image, simply click on the image, and a larger image will appear. 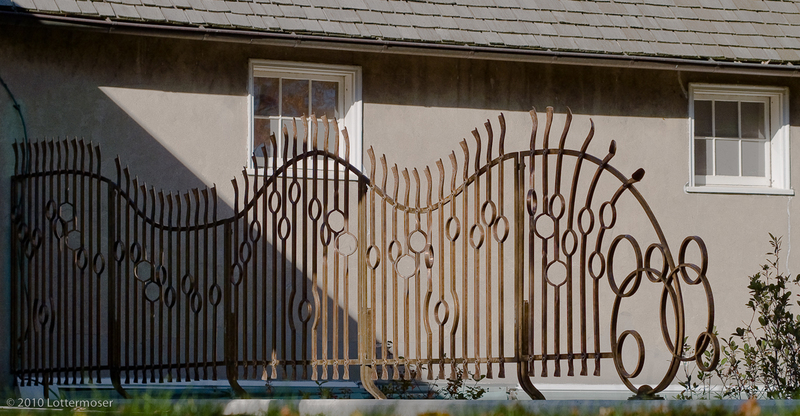 The detail above clearly shows the split rings in the 3/4″ square bronze balusters. Each ring was split from the bar while hot, then the side walls were cross-peened out, and then the ring was shaped over a cone mandrel. Note also how some of the rings were positioned with a 1/4 to 1/2 turn. 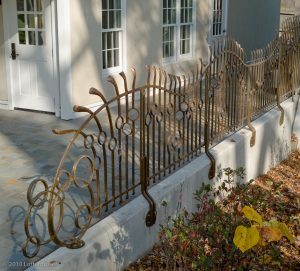 That, combined with the undulating top rail, was designed to give the railing a feeling of motion, and that the rings are revolving in the breeze. 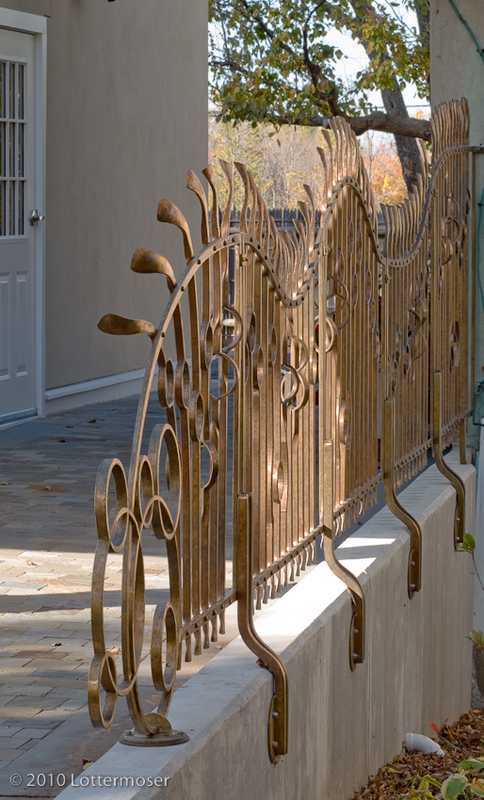 Also note that the railing is cantelevered over the retaining wall, as the client wished this (rather than posts buried into the concrete) to reduce the amount of oxidation stains on the concrete beneath. 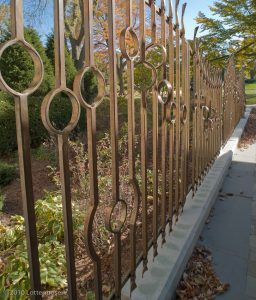 This posed a bit of a challenge, as I had to accomplish the task in a visually pleasing manner coupled with the strength needed to support the heavy weight of each panel, each of which are five feet long, for a total railing length of 25 feet. I would like to thank George Lottermoser, of “Lottermoser and Associates” in Mequon, WI for another fine job of photography. 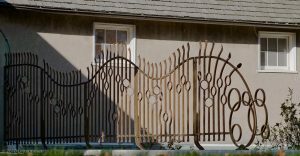 For more on “Lynden Sculpture Garden“, visit their website.